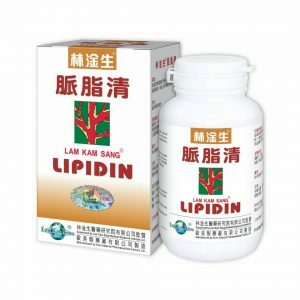 Lam Kam Sang DIABEIN is effective in clearing the long term accumulated toxin and metabolite to improve the health of the pancreas. It also promotes the body function in utilizing the insulin and eliminates disturbance of the blood circulation to recover the pathological change of heart, kidney, vision and cranial nerve system with effective rate of over 95%. 120 capsules Made in Hong Kong. Radix Paeoniae Alba, Radix Salviae Miltiorrhizae, Margarita, Radix Paeoniae Alba, Radis Astragali, Radix Trichosanthis etc. 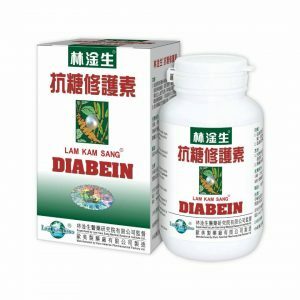 Every capsule of Lam Kam Sang DIABEIN contains 500 mg extract of the above Chinese medicines. 2. Health and functional problems of the pancreas. 3. Body function in utilizing the insulin. Weight below 45 kg: 4 capsules; weight 46-60kg: 5 capsules; weight 61-80kg: 6 capsules; weight over 80kg: 7-8 capsules, 3 times a day, to be taken with warm water before meals.